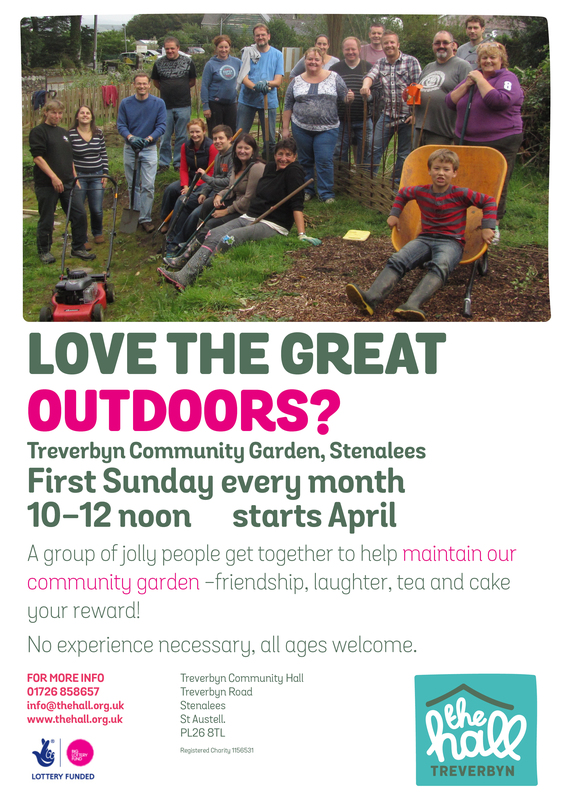 Treverbyn Community Gardening group offers people of all the ages the chance to enjoy the great outdoors. We are a group of gardening enthusiasts who meet on the first Sunday of each month to pull weeds, plant seeds, dig ground and generally share our love of gardening. There are a number of raised beds available for growing fruit & veg in as well as edible shrubs, fruit trees and a grassy ampitheatre. Much of the harvest gets shared out between the gardeners or used in the community cafe. Community gardening is a good, fun way of spending a Sunday morning and no experience is necessary; just enthusiasm and energy. All ages are welcome. Children regularly outnumber the adults and have their own ‘mud club’. You will find us in the community garden behind the car park, next to our lovely hall. We look forward to seeing you!